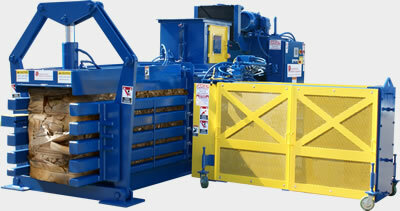 Our Auto-Tie Balers can keep up with high volume applications without ever breaking a sweat. The ATOM Series is specifically designed for “open materials” such as whole unfolded cardboard boxes, or shredded paper. For more information or call us at 1-800-231-9286 to discuss your specific textile recycling needs.